Will your testimony be admissible? Inadmissible? This series was written to help newly minted (and experienced) experts be mindful of Daubert, or a state’s own variation of Daubert or Frye throughout the litigation process. The key points made include: remember to only accept cases that you are qualified for, ensure you have a sound methodology in which to form your opinions before proceeding, know how to clearly articulate that you are sufficiently qualified and that your methodology is relevant and reliable, and work closely with the retaining attorney to respond to a motion to exclude your testimony. 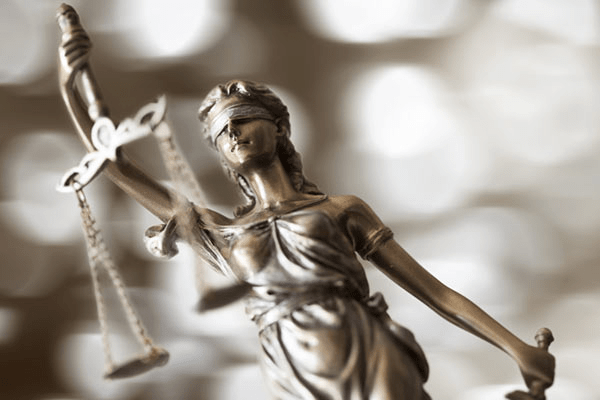 Following these strategies will challenge the opposing party in its preparation and defense of a motion to exclude, and will assist the judge in understanding how you meet the admissibility requirements. You do not need to fear Daubert if you are sufficiently prepared to uphold your role as an expert witness within the framework of the admissibility rules. The dust has settled: a motion to exclude your testimony was filed, your opinions were defended to the best of your ability and the retaining attorney’s ability, and the court made its decision to admit or exclude your testimony. What next? Regardless of whether the case goes to trial, settles, or is dismissed, what are the implications for future cases? Depending on the outcome, there are different ways to strategically maximize or minimize the impact of a decision on a motion to exclude your testimony. Congrats! Your testimony was admitted. How can you use this decision and other favorable ones to your advantage in the future? First, make sure you obtain and maintain an electronic record of favorable decisions so you can easily refer to these documents at a later time. For example, you can use the court’s ruling to quickly summarize and promote your expertise and your strengths to potential clients, and you can use the language delivered by the court if you need to defend your testimony in future cases. Imagine you are hired to testify in a case about X. You have been qualified by the court and testified about X before—maybe not just once, but several times. In this case, a motion is filed to exclude your testimony. In your affidavit or in the attorney’s response, include a summary of your role in those cases about X in which you successfully beat a Daubert challenge to demonstrate you have been qualified in the same opinion areas, and the court found your testimony to be relevant and reliable. As stated many times before, the courts consider precedent when making decisions on whether to exclude expert opinions and therefore may rely on this information when deciding whether to admit your testimony in the current case. Likewise, keep track of those cases in which you testified at trial and no challenges to your testimony were filed, because they lend support that your qualifications and methodology are admissible. Unfortunately, your testimony was excluded under FRE 702 or similar state rules of evidence. It is difficult not to take the news too hard. In the course of an expert’s career, this outcome is neither unusual nor unexpected—motions to exclude expert testimony are filed in nearly every case in which the stakes are high. That said, the court’s decision is by no means benign. Being excluded can be damaging to your expert witness career in both the short-term and long-term. How can you minimize the fallout? First, assess the damages. Will you still be able to testify in trial? If your opinions were admitted in part, then your limited testimony may still be valuable to a jury and you may be able to testify. However, if all of your opinions were excluded, then you cannot testify, but it does not mean the case is over if the attorney decides to continue to trial. Also, find out whether the attorney intends to appeal the decision; but do not be surprised if no appeal is filed. The legal team will make its decision based on case law for that jurisdiction, case strategy and litigation costs, and not necessarily to protect your reputation. Sometimes both sides will reach a settlement to avoid the lengthy and costly process of an appeal. Were you qualified but your methodology was found to be unreliable? Was your methodology reliable but it did not fit the facts of the case? Was your testimony limited in scope, or was your full testimony excluded? Was your methodology or conclusion based on another expert’s conclusions, and that expert was excluded? If you believe none of these are applicable, maybe something went wrong; were you unable to effectively demonstrate your qualifications, methodology, or opinions complied with FRE 702; or were you underprepared for your deposition and gave the opposing side too many sound bites in your testimony? If you determine one or both of these scenarios holds true, then treat this opportunity as a learning experience to write a stronger expert report and practice more for your deposition for the next case. Furthermore, having an understanding of the decision will allow you to distinguish the issues and underlying basis for your exclusion so you can concisely present the circumstances to future clients. You cannot hide successful challenges to your testimony—they certainly will be uncovered—but you can explain away some of the negative association. For example, the potential case may involve issues that are unrelated to the issues in which your testimony was excluded. Or, the case issues have some similarity, but the prior case had less data or facts for you to work with. There also may be times when your testimony appeared to have all the correct elements, and yet a challenge was successful. Do not assume that one exclusion means you can no longer testify as an expert witness. Attorneys understand that sometimes judges are not perfect, and they also know all jurisdictions are not alike—both in terms of the case law and in their scrutiny of experts. The opposing side will always raise the topic of any past Daubert exclusions during your deposition. Using the same suggestions described above for handling questions from a potential client, you can minimize the impact in deposition by distinguishing that past case from the current one. Also, you can respectfully disagree with the outcome, but make sure to thoroughly explain why. Expect this line of questioning in advance of your deposition, so you can practice your responses. This will help you maintain your emotions and give concise answers. When experts are needed because their specialized knowledge will assist the jury with understanding key issues in a case, the admissibility of expert testimony is crucial. Attorneys know that if their expert is excluded, their case is in jeopardy of summary judgment, a disappointing settlement, or an unfavorable jury verdict. Experts must also understand that if their testimony is excluded, not only can the ruling jeopardize the outcome of the case, it can affect their role in future cases. It is quite common for attorneys to file motions to exclude the opposing party’s expert witnesses to eliminate expert testimony from the jury’s consideration. Depending upon whether the motion is filed based on FRE 702 and Daubert, or a state’s own variation of FRE 702, Daubert or Frye. This series was written to help experts be mindful of Daubert, or a state’s own variation of Daubert or Frye throughout the litigation process. Key points were: remember to only accept cases that you are qualified for, ensure you have a sound methodology in which to form your opinions before proceeding, know how to clearly articulate that you are sufficiently qualified and that your methodology is relevant and reliable, and work closely with the retaining attorney to respond to a motion to exclude your testimony. Following these strategies will challenge the opposing party in its preparation and defense of a motion to exclude, and will assist the judge in understanding how you meet the admissibility requirements. You do not need to fear Daubert if you are sufficiently prepared to uphold your role as an expert witness within the framework of the admissibility rules. This article originally appeared on IMS-ExpertServices.com in the Expert Library on May 20, 2015. Wendy Pearson, founder of Pearson Research Group, has more than 15 years of experience providing strategic litigation support and expert witness support on over 50 major cases involving contaminants in the environment. She assists attorneys with case assessments, case strategy, understanding technical issues, fact and expert witness discovery, Daubert motions and responses, and direct and cross exams of experts at trial. Ms. Pearson fully supports expert witnesses throughout the litigation process to ensure high quality work product and sufficient preparation for deposition and trial. She holds a B.S. in Civil Engineering and a M.S. in Environmental Science and Engineering. Ms. Pearson can be reached at (814) 240-2418 or by e-mail to wnpearson@pearson-rg.com.